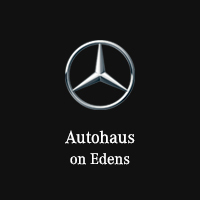 * This retired service loaner is available only to qualified customers at Autohaus on Edens through Mercedes-Benz Financial Services. Includes destination charge and optional Premium 1 Package. Excludes title, taxes, registration, license fees, insurance, dealer prep, additional options and $179.81 doc fee. Total monthly payments equal $14,364. $4,223 cash due at signing includes $2,729 capitalized cost reduction, $1,095 acquisition fee, and first month's lease payment of $399. Subject to credit approval. No security deposit required. Lessee responsible for maintenance, repairs,excessive wear and tear, and excess mileage over 10,000 miles/year a the rate of $0.25/mile. Applies only to stock #49-265. Dealer will not honor typographical errors in this ad. Offer expires April 30, 2019. 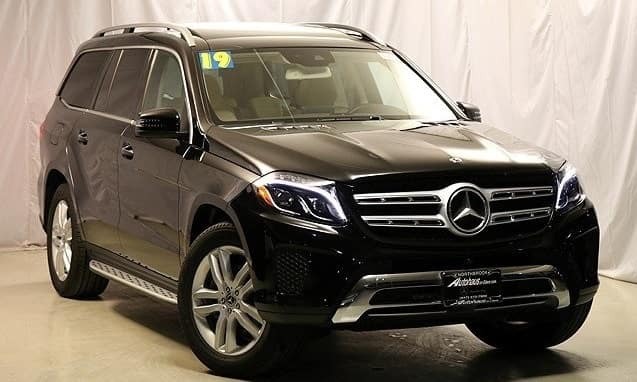 * This retired service loaner is available only to qualified customers at Autohaus on Edens through Mercedes-Benz Financial Services. Includes destination charge and optional Premium 1 Package. Excludes title, taxes, registration, license fees, insurance, dealer prep, additional options and $179.81 doc fee. Total monthly payments equal $20,484. $5,033 cash due at signing includes $3,369 capitalized cost reduction, $1,095 acquisition fee, and first month's lease payment of $569. Subject to credit approval. No security deposit required. Lessee responsible for maintenance, repairs,excessive wear and tear, and excess mileage over 10,000 miles/year a the rate of $0.25/mile. Applies only to stock #49-098. Dealer will not honor typographical errors in this ad. Offer expires April 30, 2019. * This retired service loaner is available only to qualified customers at Autohaus on Edens through Mercedes-Benz Financial Services. Includes destination charge and optional Premium 1 Package. Excludes title, taxes, registration, license fees, insurance, dealer prep, additional options and $179.81 doc fee. Total monthly payments equal $14,004. $4,333 cash due at signing includes $2,849 capitalized cost reduction, $1,095 acquisition fee, and first month's lease payment of $389. Subject to credit approval. No security deposit required. Lessee responsible for maintenance, repairs,excessive wear and tear, and excess mileage over 10,000 miles/year a the rate of $0.25/mile. Applies only to stock #49-084. Dealer will not honor typographical errors in this ad. Offer expires April 30, 2019. 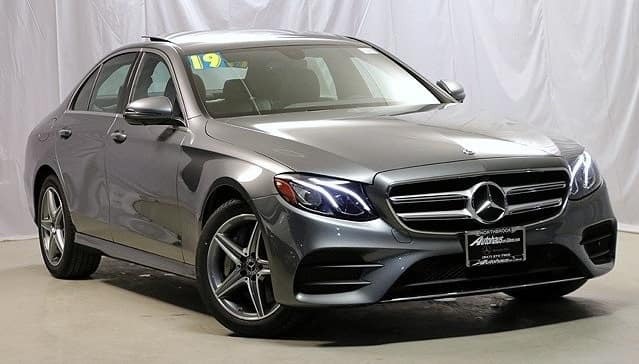 * This retired service loaner is available only to qualified customers at Autohaus on Edens through Mercedes-Benz Financial Services. Includes destination charge and optional Premium 1 Package. Excludes title, taxes, registration, license fees, insurance, dealer prep, additional options and $179.81 doc fee. Total monthly payments equal $28,404. $6,843 cash due at signing includes $4,959 capitalized cost reduction, $1,095 acquisition fee, and first month's lease payment of $789. Subject to credit approval. No security deposit required. Lessee responsible for maintenance, repairs,excessive wear and tear, and excess mileage over 10,000 miles/year a the rate of $0.25/mile. Applies only to stock #49-146. Dealer will not honor typographical errors in this ad. Offer expires April 30, 2019. 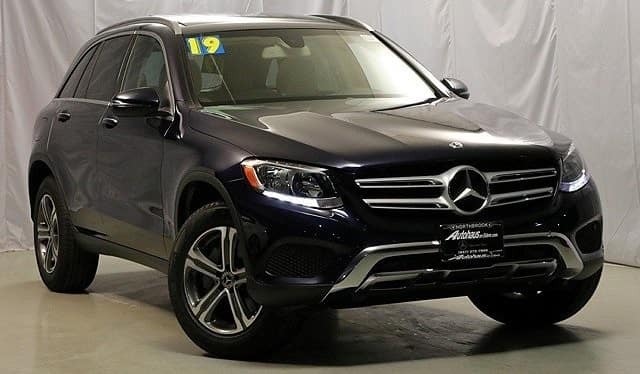 * This retired service loaner is available only to qualified customers at Autohaus on Edens through Mercedes-Benz Financial Services. Includes destination charge and optional Premium 1 Package. 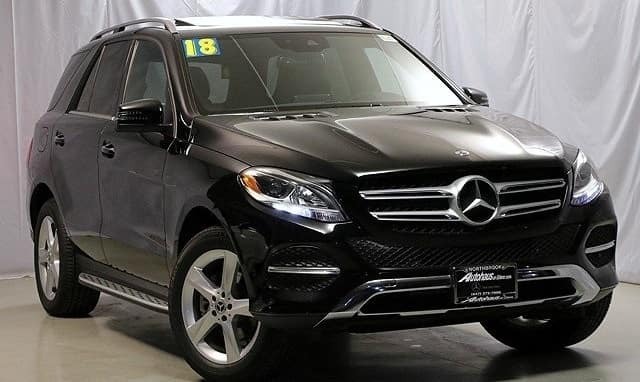 Excludes title, taxes, registration, license fees, insurance, dealer prep, additional options and $179.81 doc fee. Total monthly payments equal $16,884. $5,559 cash due at signing includes $3,995 capitalized cost reduction, $1,095 acquisition fee, and first month's lease payment of $469. Subject to credit approval. No security deposit required. Lessee responsible for maintenance, repairs,excessive wear and tear, and excess mileage over 10,000 miles/year a the rate of $0.25/mile. Applies only to stock #48-1392. Dealer will not honor typographical errors in this ad. Offer expires April 30, 2019.